On back-to-back nights in Toronto, I saw one of the best representations of what musical theatre can be, and one of the worst. 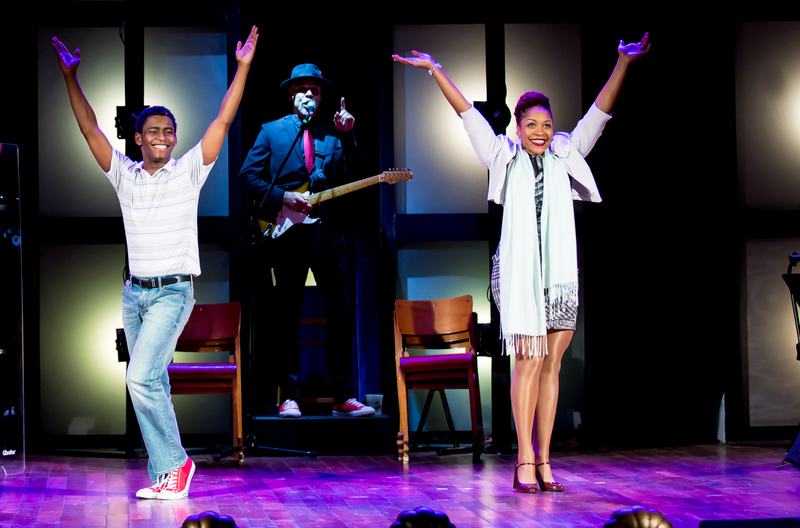 Acting Up Stage/Obsidian Theatre Company’s Passing Strange is vibrant, vital, emotional and intelligent. Hart House’s Carrie is also a thing that’s happening. Stephen King, who wrote Carrie, the classic book that inspired the ill-conceived musical adaptation, purported in his memoir On Writing that the key to being a good writer is being an avid reader. It should then, theoretically, hold true that seeing a ton of theatre could make you a pretty decent director. Legendary theatre critic Richard Ouzounian’s brutally un-insightful and haphazard direction of this musical that should never have been a musical is definitive proof that that is just plain not true. Holy moly is this production terrible. The design is amateur, the staging awkward, the pacing pathetic and apparently top-marks triple threats like those who starred in last year’s Into the Woods only go out for unpaid non-union gigs like a Hart House show if a dream role is up for grabs. Carrie: the musical– with its plodding score and comical telekinetic effects- is not the stuff dreams are made on. 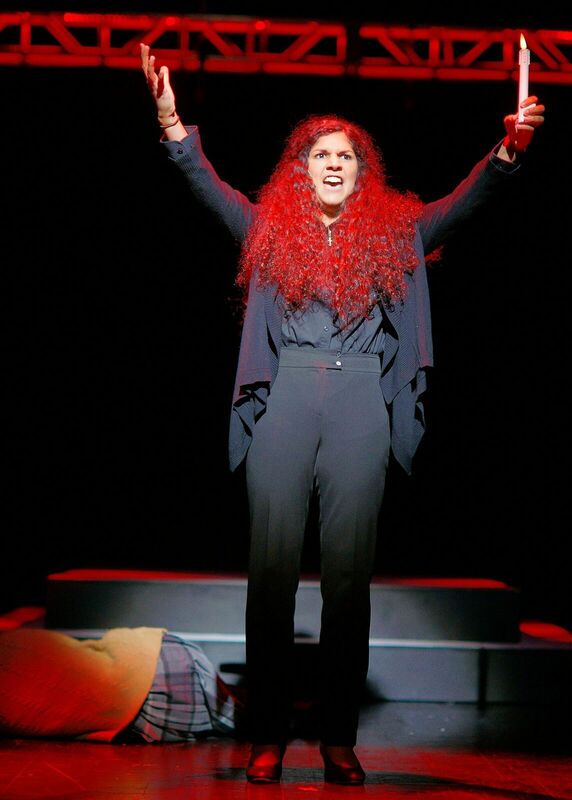 Thank god for Brittany Miranda, the cast’s one and only truly good singer who hauls the lazy, bloody corps of a production onto her capable shoulders and delivers a gutsy, moving performance as Carrie’s psychotic mother that rescues the show from total catastrophe, just barely. But a few blocks south-east, in an indie rock venue ironically named The Opera House, Passing Strange is proving why the musical is still an unstoppable medium, no matter how many bad Carrie-like adaptations the form is forced to endure. I’ve been hard on Acting Up Stage through the years; this is why. I’ve been waiting for this from the much-touted company- a bold, weird, challenging art piece that confronts the notion that musical theatre is just about toe tapping and heartfelt power ballads. Stew & Heidi Rodewald’s Europe-traipsing coming-of-age tale doesn’t have the sort of score you can easily sing in the shower or the sort of story you can easily synopsize for the mildly curious. What it does have is brazen strangeness of song and form that forces intellectual engagement before delivering its final reward of emotional engagement. Director Philip Akin’s staging is fun, energetic and well-balanced, excellently showcasing a strong ensemble highlighted by an intoxicating Beau Dixon as the rockstar narrator and future superstar Jahlen Barnes as the charming, alienating, right, wrong, special, normal Youth at the centre of this fantastical fourth-wall-breaking world that is just strange enough to eventually start to feel real.